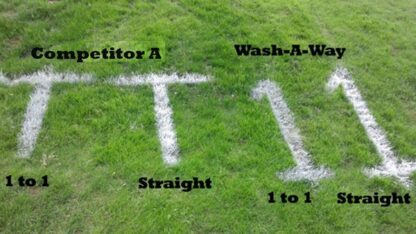 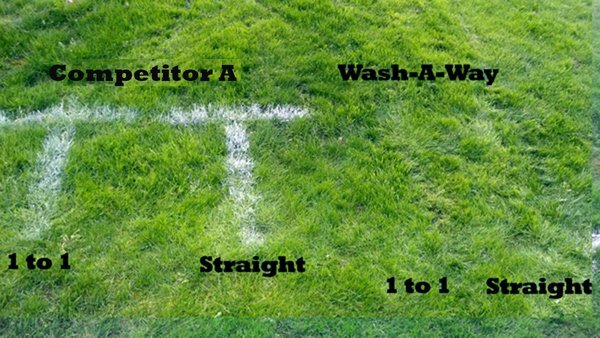 WASH-A-WAY is a bulk paint for laying down temporary lines or other markings on all types of professional athletic fields, football fields, soccer fields, field hockey, lacrosse, golf courses and similar sports areas where premium results are required. 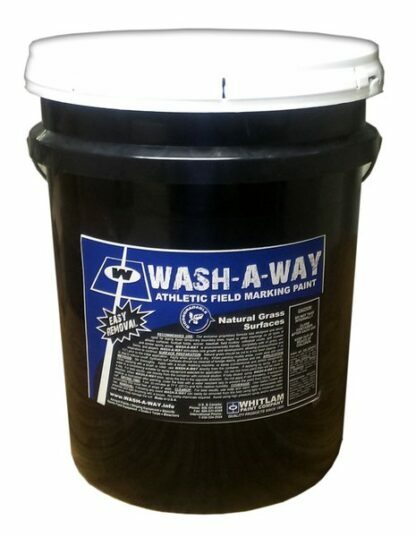 WASH-A-WAY bulk chalk paint is intended to be used for a short period of time and will wear off with foot traffic and game play. 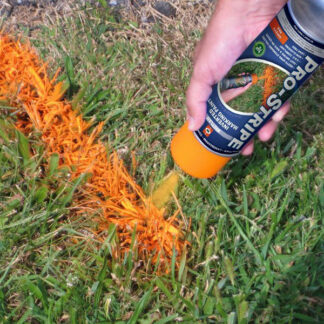 Easy removal after the event with water from a spray machine or garden hose. 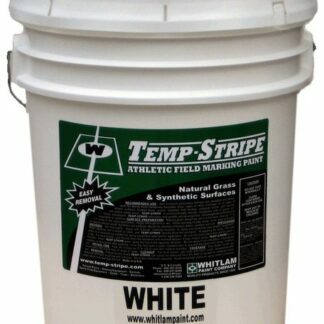 Excellent for creating a temporary chalk-like appearance and provides an incredible dry brightness. 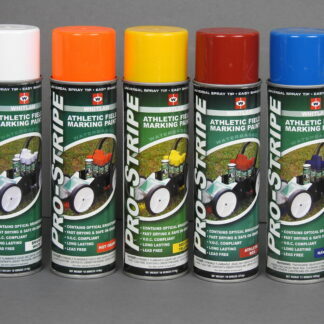 WASH-A-WAY Athletic Field Marking Paint is made from the finest quality raw materials available.